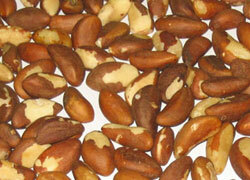 Brazil Nuts (Bertholletia Excelsa) is produced in Madre de Dios in the southern rain forest of Peru. The Brazil Nut tree is one of the tallest trees of the Amazon rain forest; it can reach heights of more than 40 meters. Brazil Nuts are collected in shell; we shell the nut in Madre de Dios with final selection and classification in our facility in Lima. Brazil Nuts are used as snacks as well as in bakery and desserts. The Giant White Cusco Corn grows only in the Holly Valley of the Incas, near Cusco in the southern Peruvian Andes. 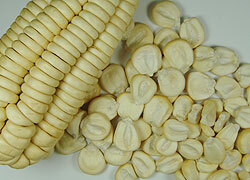 This is a white corn of exceptional large size that makes it unique in the world. Seeds of Giant Cusco Corn have been tried in different lands but the corn never reaches the size as the original product from the Holly Valley in Cusco. It is mainly used toasted as a snack. We work first quality sevilla type Green and Black Olives, classified by size and packed in drums or pails according to customer's requirement. 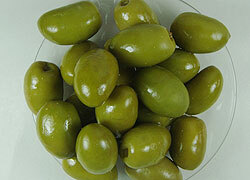 Our olives come from the valleys of Tacna in southern Peru. Our green olives can be used whole, pitted or stuffed with vegetables while the flavor and texture of our Black Olive makes it ideal for direct consumption.